Contemporary, Good Read, Grand Central Publishing, Re-reads!, Review, Toe Curler!! 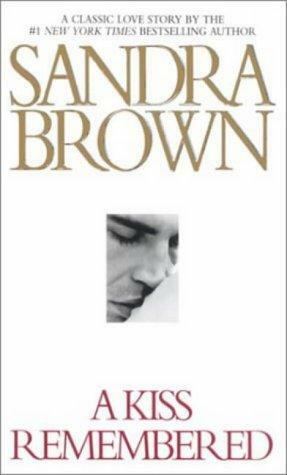 This was a book that was published when Sandra Brown wrote using her pseudonym Erin St. Claire for the Silhoutte Desire series and is a classic love story. Shelley Browning meets Grant Chapman as her high school teacher during which time Shelley was infatuated with the handsome teacher with whom each and every girl in high school had secretly had a crush on. The student-teacher relationship between the two is shattered on a moment that takes both of them unawares and Grant kisses Shelley. Grant leaves the high school teaching position and pursues a political career in Washington, whilst Shelley marries a man whose passion is to become a well-known doctor and wastes away 10 years of her life working towards fulfilling his goal when ultimately he divorces her citing that he has outgrown her. Shelley once again meets an older, a more compelling and sexier Grant who pursues her with relentless passion to see whether the kiss that had been with both of them through the years apart could grow into something more. As with most older romance novels, the problems are trivial, but the story is a great one to sink into, if a light romance is the order of the day.